All the backstabbing and intrigue on the gaming system of your choice. Photo from YouTube. 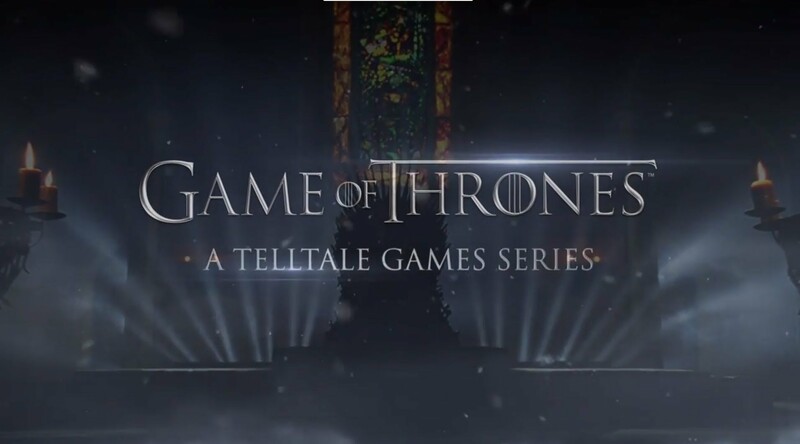 As April looms so far away, Telltale’s “Game of Thrones” makes the wait for the season premiere a little less painful. The game is a joy for any fan of the series, with all the backstabbing and brutality of the television show. Beware: light spoilers below. 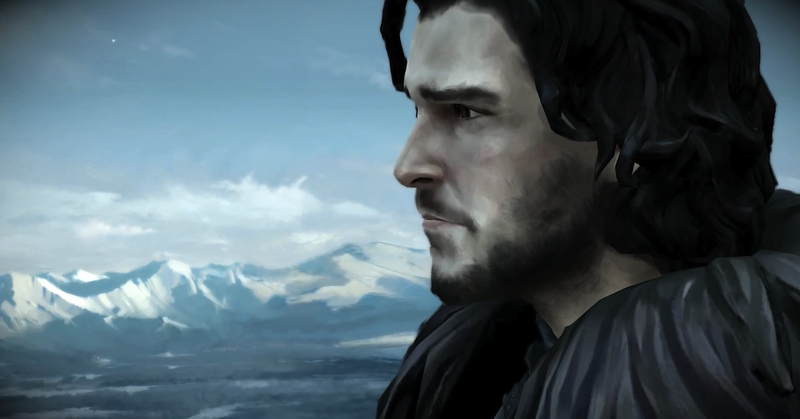 Telltale has succeeded in creating an immersive narrative for the die-hard GoT fan. Based off the TV show rather than the books, the game puts players in the collective shoes of house Forrester, a family loyal to the Starks and facing persecution for their loyalty after new overlords take over. Using the same point-and-click style popularized in their “Walking Dead” games, most actions are completed through cinematic events, putting a larger focus on dialogue and plot decisions. The few moments of combat are completed using simple button mashing sequences or swiping with the thumb sticks, making this something really any skill level can play. Similar to the series, the game is told from the point of view of several characters all with their own subplot. Each narrative centers on a member of House Forrester and their efforts to save their family from destruction. The first episode, ‘Iron From Ice,’ wasted no time in throwing the player into the action starting the story during the Red Wedding, which is a sign for any fan of the show that things aren’t going to go well for the Forresters. After a brief merry introduction where one of our protagonist, Gared Tuttle, learns he is to be made a knight, we witness all of the northerners get slaughtered, leaving Gared to return home alone to inform his former master’s family. This is when we are introduced to our second protagonist Ethan Forrester, the third son of the Forresters and now lord of his family’s lands. Ethan, barely a teenager, is forced to more or less lead his family against their rival clan who seeks to take their lands. In Ethan’s story, we are shown how broken the house is, and given a short history lesson on house Forrester. While not action-packed Ethan’s story is what truly sets the main plot. 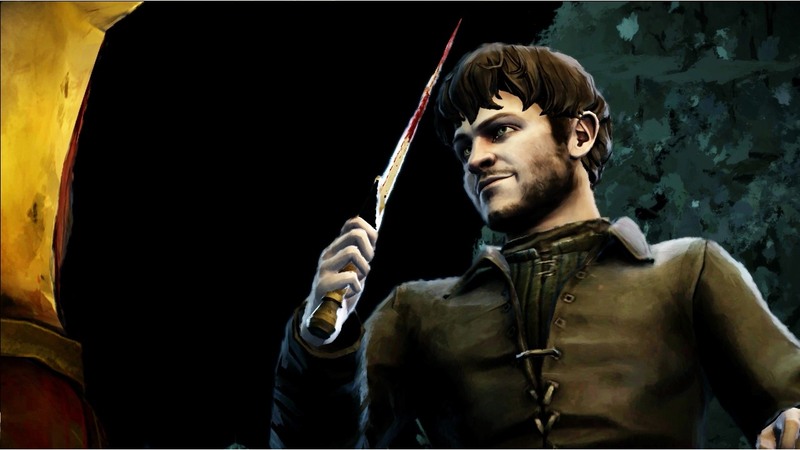 Ramsay is just as creepy animated as he is live action. Photo from IGN. video game character. The fact Telltale was able to make these scenes so immersive speaks volume for their abilities as story tellers. The first episode was a great introduction with a enough action and intrigue to keep it interesting and finishing with a shocking ending that seems like it was penned by George R. R. Martin himself. It’s not a good episode for the Forresters and it leaves the player hungry for revenge. As we move into the second episode ‘The Lost Lords’ we are introduced to the second oldest Forrester, Asher the mercenary. Banished by his father for marrying a woman from their rival clan, the Whitehills, Asher is in a city liberated by Daenerys Targaryen a continent away from his family, and is only informed of his father’s death by his uncle, sent to get him home. This is where the bloodshed gets turned up a notch, as Asher talks with his sword like Han Solo if he crash landed in Westeros. Hopefully Asher can live long enough to get home to get even with the Whitehills. The next protagonist introduced is Rodrik Forrester, the assumed-dead Forrester heir. Arriving on a corpse cart alongside his dead father, Rodrik spends most of the episode recovering from his injuries and adjusting to his role as the patriarch of his family. He is a strong lead, a warrior who has been ravaged by the war. ‘Lost Lords’ also sees the introduction of Jon Snow, voiced by Kit Harrington, as Gared Tuttle takes the black and joins the Night’s Watch. Gared is given a training session, which is probably a foreshadowingof combat skills the player will use in the upcoming episodes. Gared is also given a look at his brothers, most of whom hate his apparent voluntary service. Gared will have to survive his training and get beyond the wall to truly help the Forresters, who gave him so much. Jon looking broodingly looking over the Wall. Photo from FILMGAMESETC. In King’s Landing Mira is knee deep in court intrigue, personal secrets and good ol’ fashioned murder. You wouldn’t think that the teenage girl would have the most intense scenes in the game, but every moment for Mira seems like she has entered some new lion’s den. As Mira, your moves in court have dire repercussions on the family back home, and even play a role in directly in the episode. Between the two episodes, ‘The Lost Lords’ and ‘Iron From Ice’ it’s hard to say which is better. Though the first episode certainly had more shocking moments, and introduced most of the principal cast, it was its follower, ‘The Lost Lords,’ that truly shined. Asher alone makes the second episode worth the play, and Rodrik gives the player someone to root for at the helm of the Forresters. The writing and voice acting are superb, fit for the show complete with performances by the show’s stars. The only drawback of the game is the wait time in between episodes, around one episode a month. On the current release schedule, the game should finish up shortly after the fifth season ends, but the few hours of play time make the wait tortuous.